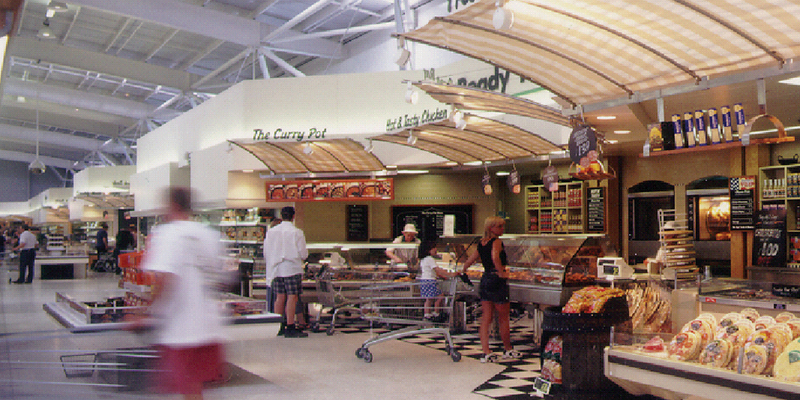 Inventing a new building typology as the manifestation of ASDA’s brand proposition for Archie Norman and Alan Leighton, the new Concept Market Hall created a specific building form identifiable to ASDA in comparison to the anonymous vernacular of other food stores. 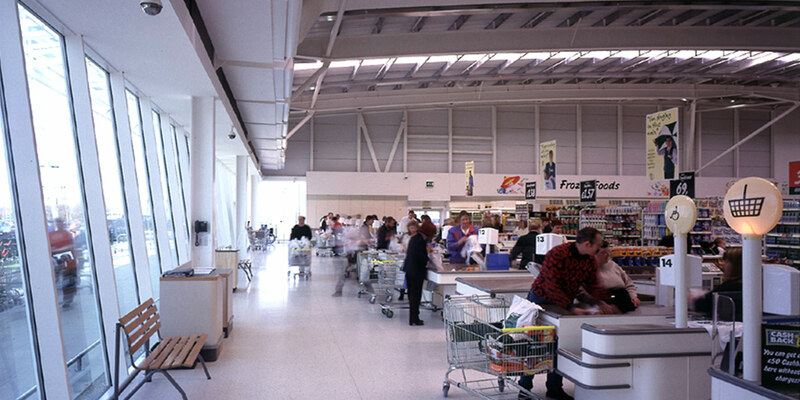 The design redefined ASDA’s historic roots of ‘market place’ and the naturally lit skeletal vaulted hall reinforces ASDA’s ‘Price Promise’ whilst focussing on the merchandise. 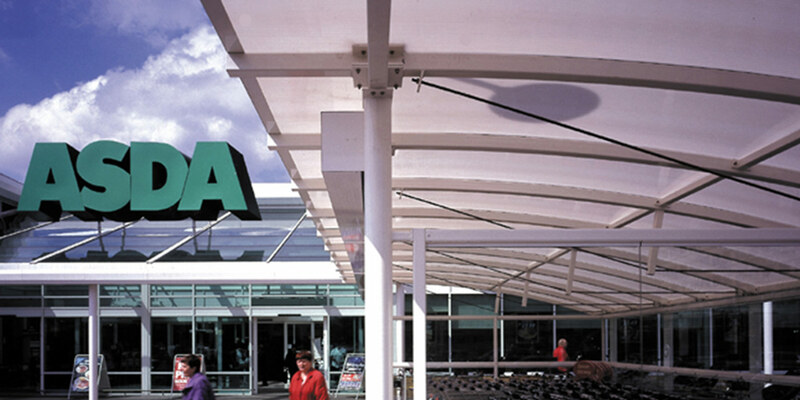 The concept has been ‘rolled out’ across the UK, contributing towards sales increases of up to 20% when compared to the replaced ‘red brick sheds’ and has provided a building enhancing the ASDA brand. 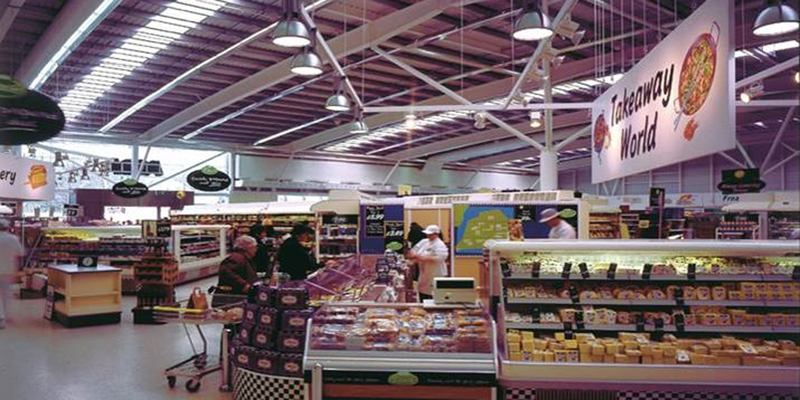 Concept Market Hall - New Generation Store. 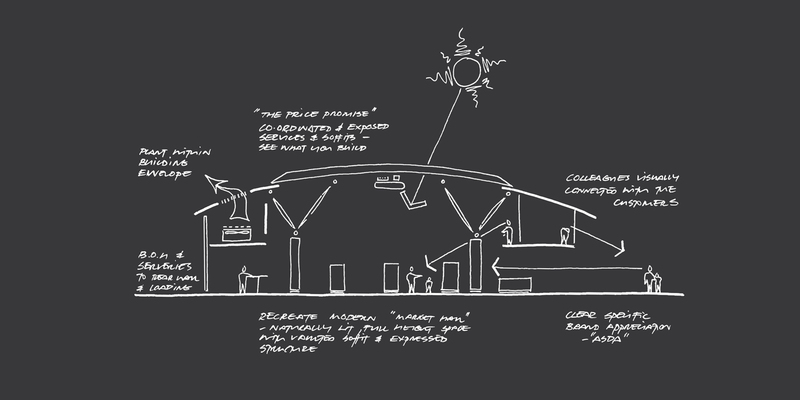 4,180 sqm Net Sales Format. PN Director of Design and Lead Co-ordinator at AFR. 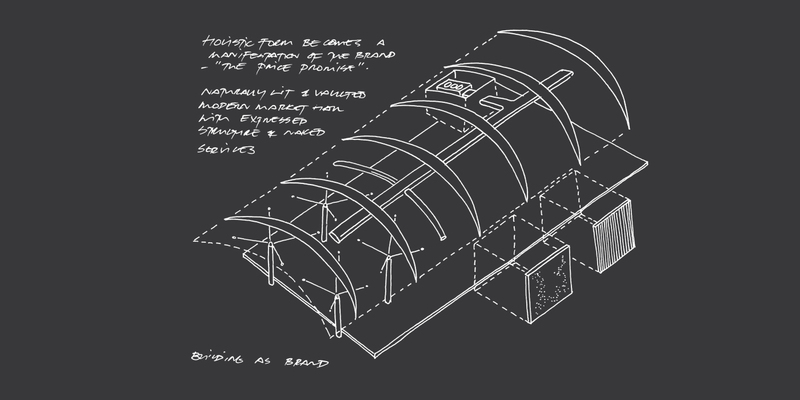 Concept design, detailed planning and UK roll-out design guardians.